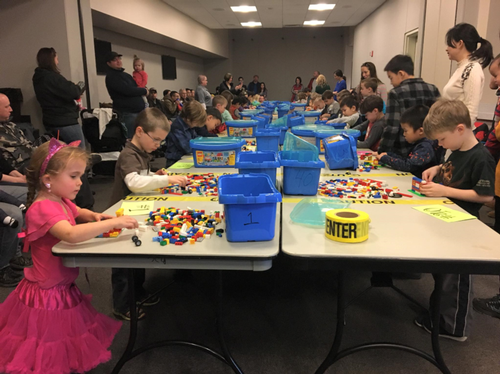 2019 Children's Building Contest - Mar 16, 2019 - Builders Association of Central PA, PA ? 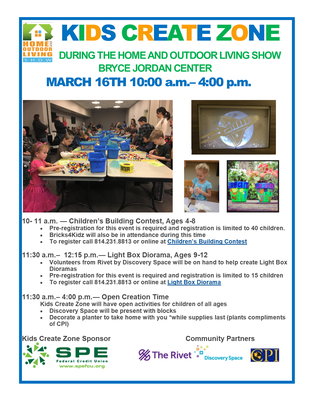 Our Annual Children’s Building Contest will again be sponsored by SPE Federal Credit Union! The contest will be held during the 35th Annual Central PA Home and Outdoor Living Show at the Bryce Jordan Center. Prizes and trophies will be awarded. Space is limited to 40 builders so sign up early!! Confirmation letters will be emailed to each participant prior to the event along with instructions on where to pick up a complimentary admission ticket for one parent or guardian to accompany the builder.